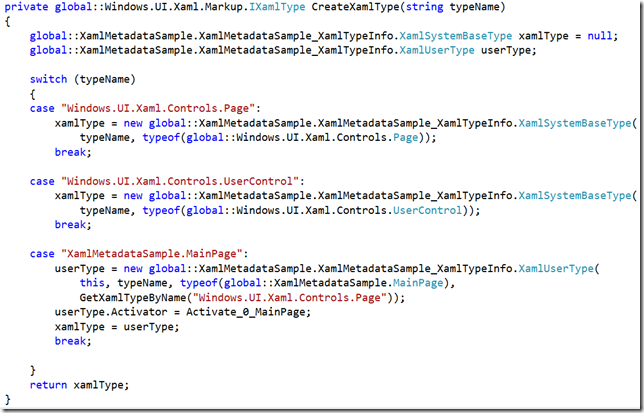 The WinRT XAML SDK holds a big secret. It’s even a secret why it’s a secret. But you’ll see several of forum posts with Microsoft staff hinting at this secret, but not following up with actual examples or sufficient documentation. So what is this secret? 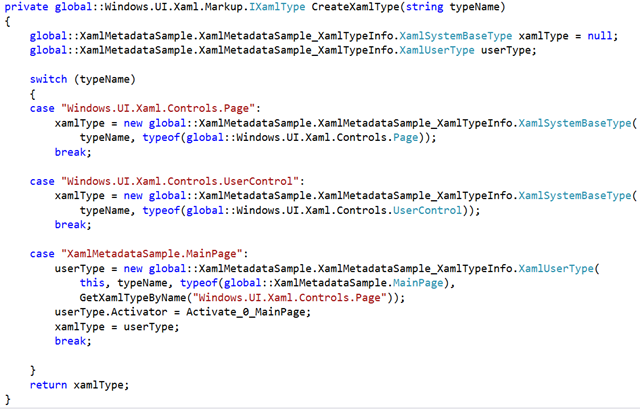 Well let’s start with good old WPF, Silverlight and what else is dead. 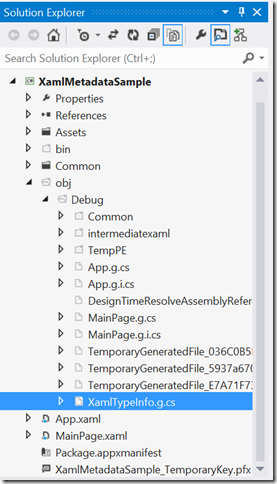 One of the issues with these frameworks has been performance, and one of the performance issues was converting XAML into running code at runtime. This requires a lot of reflection and was part of the performance problem. WinRT attempts to solve this by taking this hit during compile time. It basically generates metadata about the classes you use, and thereby avoids the reflection overhead. At first glance this is pretty clever but as I’ll show later can also have some major issues that require a lot of code using hardly documented interfaces to resolve. This is my attempt to decode some of these interfaces. I’m not fully understanding all the bits myself yet, so this blogpost is partly to share what I found, but also my process for better understanding it. So back to the big secret: IXamlMetadataProvider. This is the main interface that drives this type resolving at runtime, and for the most part this is done for you, and this is also where our journey will start, because we can take a peek at that work. 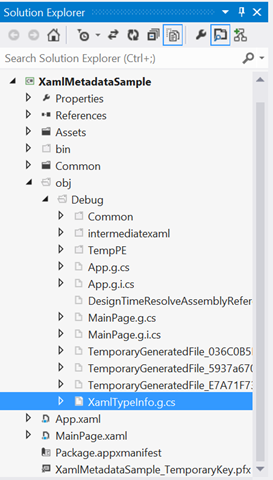 Open any of your Windows Store XAML apps projects, turn on the “show all files”, and open up the secret \obj\[Config]\XamlTypeInfo.g.cs file. What just happened? The compiler detected that you want to use your StringCollection class, so it creates type resolvers for this, and ANYTHING else it depends on, including base classes and types for all their properties which is why you also see string, int, object etc show up. So because our MainPage control now has a new property, this gets reflected by the auto-generated code. So the auto-generated code automatically detected that my custom library has a second metadata provider embedded, and injects it into this list as well as the auto-generated one. So it looks like we should be able to provide our own implementations, which I’ll get back to later. 1. Configuring Power View Connectivity to Multidimensional By SQL Server MVP Teo Lachev– @tlachev 2.